In an increasingly technological and globalized world, children need more than just job skills—they need to learn how to think, problem solve, innovate, and communicate. Jarrow Montessori is uniquely working to equip the next generation through an integrated, hands-on approach based on a Montessori understanding of development and learning. 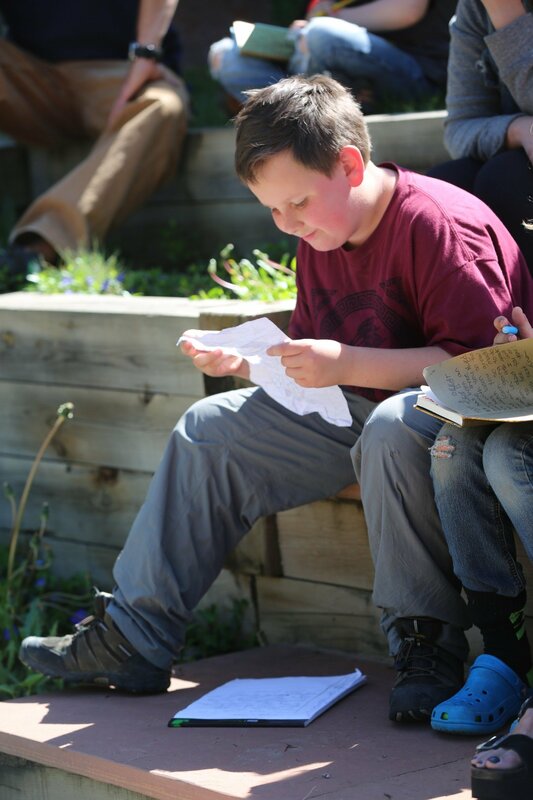 We provide a dynamic and prepared environment for children to explore the ‘big questions’ about the world and their potential to affect positive change. Children in our elementary program build on their Primary foundation while exploring their growing social and emotional independence. The natural curiosity of the elementary child is sparked and fed through the many opportunities to explore new areas of learning. Elementary in Montessori is a mixed-aged environment, with three-year age groupings. Graded curricula in a conventional school environment typically directs teaching towards the “average” student which can limit students ability to perform at varying levels over the course of the year. 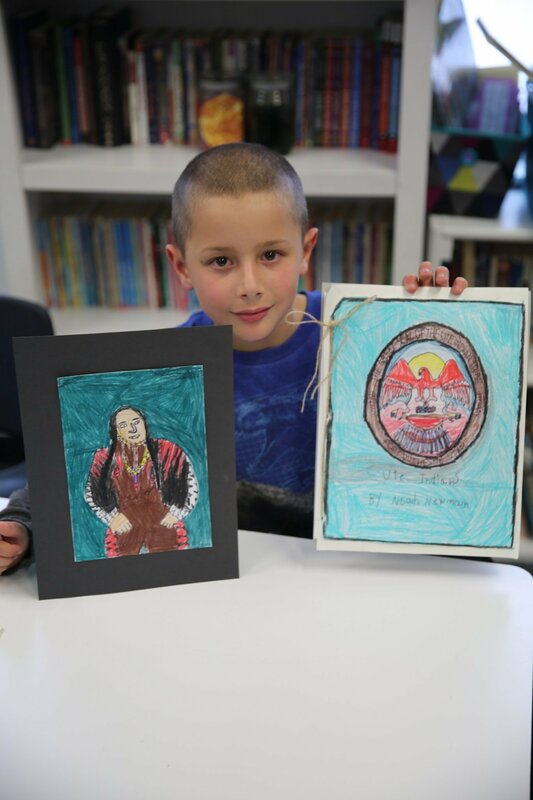 In contrast, Jarrow allows students to progress academically on the basis of their ability and interests rather than age or grade. Since all children have strengths and challenges and progress at different rates, the Montessori curriculum adapts to these differences to support the whole child. 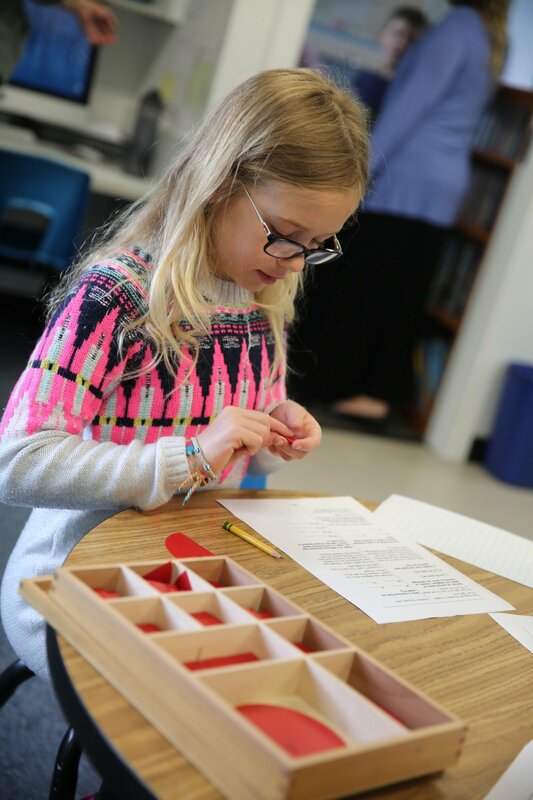 The Lower Elementary program (1st-3d grade) in Montessori continues building on the skills learned in the final year of the Primary program. Emphasis is placed on handwriting, reading, expressive language, building to abstract mathematical concepts, geography, cultural studies, and science. 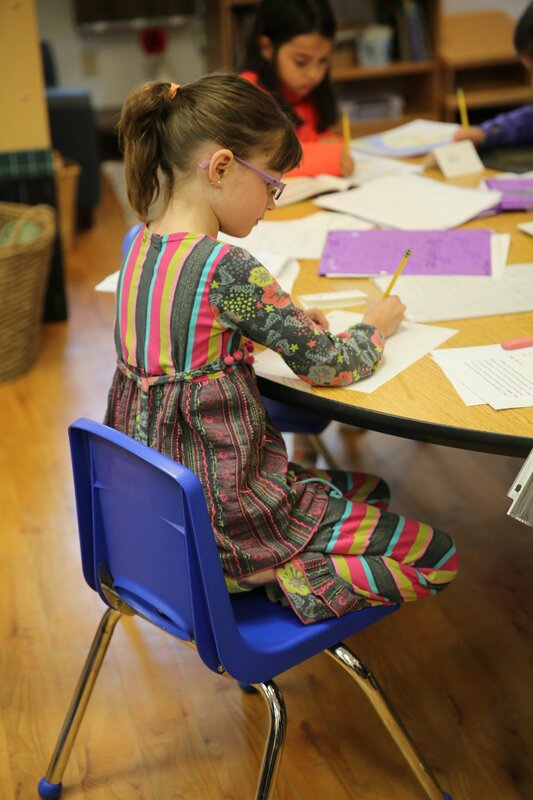 Work plans are an important part of the elementary program in Montessori. Students receive a work plan that is created in partnership with their teacher. The work on the plan is made up of by daily lessons, teacher choices, and the child’s interests. Work plans allow children to learn time management skills, self-advocacy skills, and to spend a longer amount of time on work without interruptions. Through creation and management of their work plans children become empowered to be independent as they discover how to prioritize and be accountable to their work choices. The elementary program includes a variety of co-curriculars with teachers specifically trained in these subject areas. It is also a time when the multiple Lower Elementary classes come together and mix.